Spin It, Baby, Spin It! Shaky camera work? Racking out of focus more often than in-focus? Lousy lighting? Bad framing? Does your movie look like you’ve never held a camera before? Critics will marvel at your originality. Example: Andrea Arnold’s WUTHERING HEIGHTS, 2011. Just get somebody in New York to write you a good review and your future is secure. FORGOTTEN HERO was shot while I stood on one foot, rubbed my head and recited the alphabet backwards while the actors were trying to say their dialogue. 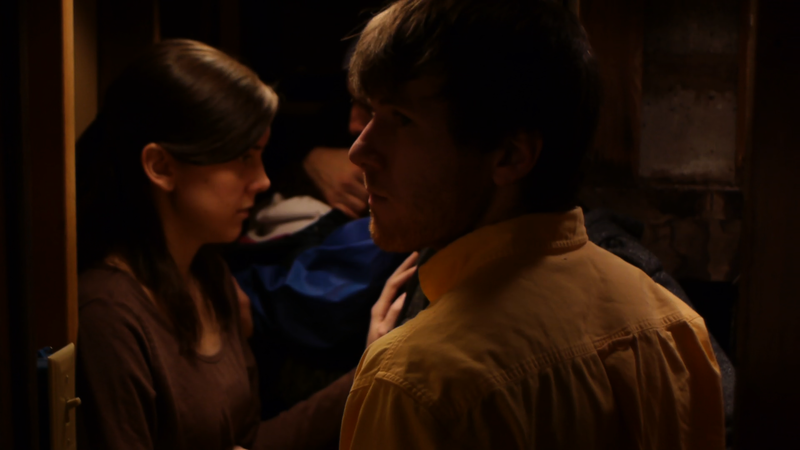 Mathew Bostrom, Heather Liddycoat, Patrick Green, Stuart Bennett, and Jasmin Brown are captured in the closet. This movie will be a critic’s sensation!